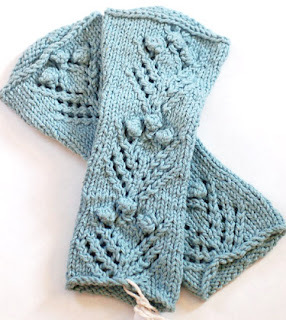 I am hoping this blog encourages me to finish some of the many many crafts and projects that I have half-completed. Right now I am working on a bunch of pairs of earrings, and some necklaces with hand-painted wooden pendants. Hopefully I will have pictures to share with you tomorrow. I am also doing research on spinning wheels, and have it narrowed down to a Louet S17 ST or a Fricke S16o ST. Both are about $250 and have very similar features, If anyone has a strong opinion either way, drop me a line :). 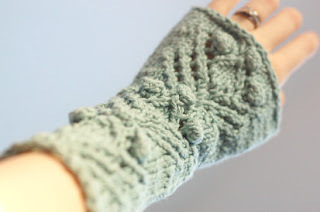 I have been writing up a pattern for these armwarmers to sell on my Etsy site, and I would love it if I could have a few people who would like to try it out, again- just drop me a line.